Konecranes recently commissioned the mobile harbour crane in Brindisi, where it will handle coal destined for power generation in continuous duty operation. 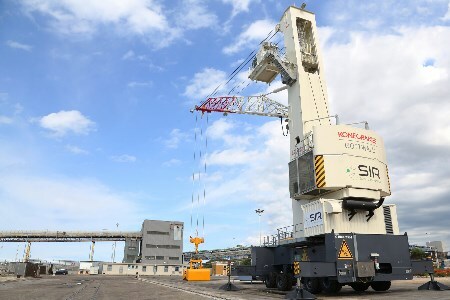 SIR srl (SIR), a leading provider of industry-related environmental services, purchased in May 2018 the eco-efficient diesel-electric crane to be the backbone of its new port business. The Model 2 mobile harbour crane in the G HMK 2304 two rope variant for Brindisi will be operated with a motor grab. It provides a strong lifting profile with a maximum lifting capacity of 80 t, a strong 32 t motor grab curve for efficient handling of bulk material, and offers an outreach of up to 40 m.